The U.S. Geological Survey has updated its volcano threat assessments for the first time since 2005. The danger list is topped by Hawaii's Kilauea , which has been erupting this year. The others in the top five are Mount St. Helens and Mount Rainier in Washington, Alaska's Redoubt Volcano and California's Mount Shasta . 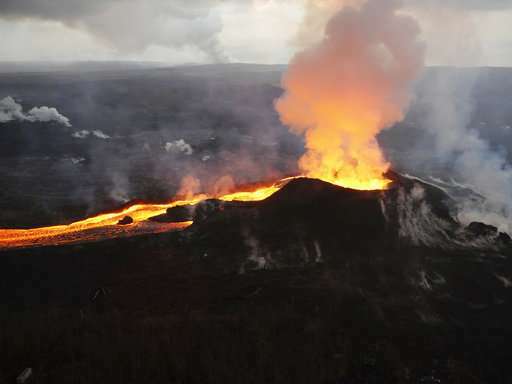 Threat scores—and levels—change because of better information about the volcanoes, Klemetti said. Among those where the threat score—but not the threat level—is higher are Alaska's Redoubt, Mount Okmok, Akutan Island and Mount Spurr. Threat scores also rose for Oregon's Newberry Volcano and Wyoming's Yellowstone. So where's this list ? I've searched the USGS site, cannot find it !! Now is see SEU beat me to it. I am surprised to see a volcano in Colorado is ranked as a moderate threat. Dotsero is ranked no. 82. I've friends over there, and this report will cause several to 'look over their shoulders', amend their plans.